A federal bill to protect the 2nd Amendment rights of medical marijuana patients is filed, North Dakota backs away from messing with those rights, no medical marijuana for Tennessee this year, Texas bills get a public hearing, and more. Federal Bill Aims to Let Medical Marijuana Patients Keep Their Guns. Rep. Alex Mooney (R-WY) has filed a bill aimed at protecting the gun rights of medical marijuana patients. The Second Amendment Protection Act would grant an exemption from the federal law that says people cannot purchase firearms if they're "unlawful user[s] or addicted to any controlled substance" for state-legal medical marijuana patients. North Dakota Lawmakers Back Away from Proposal for Database to Check Patients' Eligibility for Concealed Weapons Licenses. House lawmakers on last Tuesday approved a measure, Senate Bill 2140, that would require the Department of Health to disclose medical marijuana patients' identities to the Bureau of Criminal Investigation "for the sole purpose" of determining whether they are eligible and in compliance with the state's concealed weapons law. But on Wednesday, Attorney General Wayne Stenehjem reminded lawmakers that changes to the voter-approved medical marijuana law required a two-thirds vote, not a mere majority, so lawmakers voted to send the bill back to the Natural Resources Committee, where its chairman said he will strip the gun language from the bill so it can pass. Oklahoma Governor Signs Patient Protection Bill. Gov. Kevin Stitt (R) has signed into law HB 2612, the Oklahoma Medical Marijuana and Patient Protection Act. The measure protects patients' rights to possess firearms under state law and allows the Oklahoma Medical Marijuana Authority to hire its own investigators to probe alleged violations. The law will go into effect 90 days after the legislature adjourns, which will be at the end of May. Tennessee Medical Marijuana Bills Are Dead for This Year. State Sen. Steve Dickerson (R-Nashville), a doctor and leading proponent of medical marijuana in the legislature, announced last Wednesday he was delaying all medical marijuana bills until next year. He said he was convinced the bill would fail, and decided it was better to delay the proposal than watch it fail in committee. "You can run a bill and have it defeated, or you can keep it alive," Dickerson said. "And practically speaking, we decided to keep it alive and not have a defeat for perception more than anything." 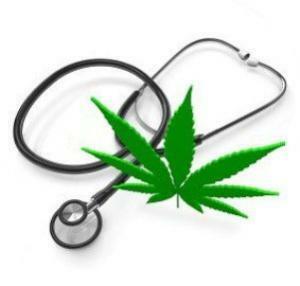 Texas Medical Marijuana Bills Get Hearing. The House Public Health Committee held a hearing on a trio of medical bills last Thursday. Testimony was sometimes highly emotional, and no one spoke up against medical marijuana. HB 122 would create a legal defense for patients possessing medical marijuana and doctors who recommend it; HB 1405 would allow hospital patients to use CBD cannabis oil; and HB 3703 would expand current use of CBD cannabis oil to all epilepsy patients, not just those with intractable epilepsy. No votes were taken. Washington Senate Approves Allowing Medical Marijuana in School. The state Senate on Saturday overwhelmingly approved SB 5442, which would allow parents to administer medical marijuana to their children at school, on the school bus, and at after-school activities. The bill limits the kind of marijuana used to infused products and extracts. Decriminalization bills are alive in Alabama and North Carolina, the Iowa Senate approves hemp, the FDA eases opioid prescribing rules, Ciudad Juarez sees a bloody weekend, and more. Alabama Decriminalization Bill Advances. The Senate Judiciary Committee on Wednesday approved SB 98, which would decriminalize the possession of up to an ounce of marijuana. People caught with less than an ounce would face a maximum $250 fine for the first two offenses, but possession of between one and two ounces would be a Class A misdemeanor and possession of more than two ounces would be a Class C felony worth up to 10 years in prison. Michigan Bills Would Cut Sentences for Pot Prisoners, Probationers. A package of bills from Sen. Sylvia Santana (D) would allow people on probation or in prison for marijuana offenses to have their sentences reduced or eliminated. While there are only three people in state prison who would be affected, more than 1,300 people are on probation for marijuana offenses. "We have already legalized marijuana in the state so therefore this is just the right thing to do," Santana said. North Carolina Decriminalization Bill Filed. Four state representatives have cosponsored HB766, which would "decriminalize possession of four ounces or less of marijuana and allow for the expunction of possession of marijuana offenses involving possession of four ounces or less of marijuana." It's been referred to the House Rules Committee. Iowa Senate Passes Hemp Legalization. The Senate voted 49-1 to approve SF 599, the Industrial Hemp Act. The hemp industry would be regulated by the state Department of Agriculture and Land Stewardship. The bill now goes to the House. 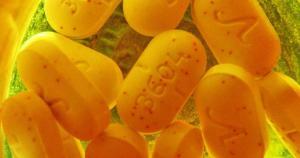 FDA Eases Opioid Policy to Allow for Tapering. The Food and Drug Administration has issued labeling changes for prescription opioids that instruct physicians to taper opioid prescriptions rather than cut them down or off. The agency also acknowledged that a 2016 CDC guideline restricting opioid prescriptions had resulted in harms to patients. "Recently, the FDA has received reports of serious harm, including serious withdrawal symptoms, uncontrolled pain and suicide, in patients who are physically dependent on opioid pain medicines when these medicines are suddenly discontinued or when the dose is reduced too quickly, often without adequate patient communication, follow-up or support," the FDA said in an April 9 announcement. "These practices have also been associated with patients attempting to find other sources of opioids in order to minimize their withdrawal symptoms or self-medicate for pain," the statement said. California Bill Would Let Localities Veto Needle Exchange Programs. State Sen. John Moorlach (R-Orange County) has filed a bill that would require city or county officials to sign off before needle exchanges could operate in their jurisdictions. SB 689 is opposed by public health advocates, who fear it could lead to increased HIV and Hep C transmission and even overdose deaths. The bill is set for a hearing before the Senate Health Committee next week. Mexico Sees Bloody Weekend in Ciudad Juarez. Ciudad Juarez saw its bloodiest weekend of the year so far, with 19 people killed last Friday, Saturday, and Sunday. That brings the death toll for the month so far to 79 as warring cartel factions fight over the lucrative plaza, or control of drug smuggling and retail sales operations. A set of Michigan bills would do some post-legalization cleanup, a decriminalization bill advances in Missouri, an Oklahoma bill protecting patient rights is signed by the governor, drug crop growers clash with authorities in Mexico and Peru, and more. Michigan Bills Would Cut Sentences for People Jailed for Possession. State Sen. Sylvia Santana (D-Detroit) has filed a package of bills that would reduce prison, parole, and probation sentences for people jailed for marijuana possession. SB 262 through SB 265 are now before the Senate Judiciary and Public Safety Committee. "After the passage of Proposal 1, it's time we rethink drug sentencing laws in Michigan, so let's start with marijuana offenses, since those are no longer considered crimes under current law," Santana said. Missouri Decriminalization Bill Advances. The House Special Committee on Criminal Justice last Thursday unanimously approved HB 1095, which would decriminalize the possession of up to 10 grams of marijuana. The measure would also make possession of less than 35 grams from a felony to a Class D misdemeanor. The measure now heads for a House floor vote. Oregon Social Consumption Bill Dies. A bill that would have allowed marijuana consumption lounges, SB 639, was among hundreds of bills that died in the legislature after failing to move out of committee by April 9. The bill's failure is a blow to the state's legal marijuana industry, which is faced with chronic oversupply. Mexico Poppy Farmers Detain Soldiers in Eradication Protest. Residents of a rural town in Guerrero state said they detained 40 soldiers last week to demand they halt opium poppy eradication efforts. The farmers said they set up roadblocks to prevent soldiers from leaving the region and called on the state and federal governments to provide assistance to local farmers so they aren't forced to grow opium. The farmers said the state government had promised in November that their poppy crops would not be destroyed and alternative means of support would be provided, but neither happened. Peru Clashes Over Coca Eradication Leave Two Farmers Dead. 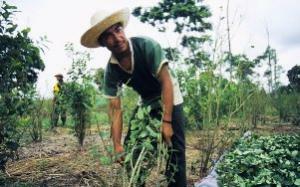 Two coca growers were killed in clashes with a large eradication team last Friday. The team, which consisted of 72 police officers and158 civilian eradicators, had arrived in the area near the Bolivian border to destroy illegal coca fields, but reported that they were attacked by people wielding machetes and sticks as they set up camp. But the mayor of the town of San Gaban said witnesses told him police fired indiscriminately. "They were shooting right and left. That's why we have this bloodshed," the mayor said. Some 20 senators sign on to a bill to solve legal marijuana's banking problem, a Maine jail appeals a federal court ruling that it must provide Suboxone to a prisoner, and more. Bipartisan Federal Bill Would Open Banks to Marijuana Businesses. Sens. Jeff Merkley (D-OR) and Cory Gardner (R-CO), along with 18 other cosponsors, filed legislation Thursday that would shield banks that maintain accounts for marijuana businesses from being punished by federal regulators. The Secure and Fair Enforcement (SAFE) Act would stop federal agencies from being able to "prohibit, penalize, or otherwise discourage a depository institution from providing financial services to a cannabis-related legitimate business or service provider or to a State, political subdivision of a State, or Indian Tribe that exercises jurisdiction over cannabis-related legitimate businesses." Companion legislation in the House has already passed out of committee and awaits a House floor vote. Texas Medical Marijuana Bills Get Hearing. The House Public Health Committee held a hearing on a trio of medical bills Thursday. Testimony was sometimes highly emotional, and no one spoke up against medical marijuana. HB 122 would create a legal defense for patients possessing medical marijuana and doctors who recommend it; HB 1405 would allow hospital patients to use CBD cannabis oil; and HB 3703 would expand current use of CBD cannabis oil to all epilepsy patients, not just those with intractable epilepsy. No votes were taken. Maine Jail Appeals Federal Court Ruling It Must Provide Drug Used in Opioid Treatment. The Aroostook County Jail is appealing a federal judge's ruling that it must provide an opioid addiction medication it says it is necessary to keep addiction in remission. A federal judge granted a preliminary injunction on March 27 that required the jail to provide buprenorphine (Suboxone) to the prisoner. The jail argues that the judge didn't defer enough to jail administrators for policymaking decisions. Medical marijuana and guns rights are in the news today, the Dutch embark on a pilot program of licensed legal marijuana grows, there is no medical marijuana for Tennessee this year, and more. California Bill to Block Home Marijuana Deliveries Killed. A bill that would have allowed localities to ban home deliveries of marijuana has died on a tie vote in the Assembly Business and Professions Committee. AB 1530 stalled amid concerns it would further hamper the state's struggling legal marijuana industry. Bill sponsor Assemblyman Ken Cooley (D-Cordova) said he will decide later whether to try again next year. Wisconsin Poll Has Strong Support for Legalization. 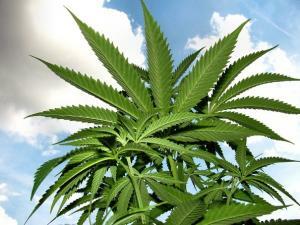 A new Marquette University Law School poll has support for marijuana legalization at 59%. Support for medical marijuana was even higher at 83%. Gov. Tony Evers (D) has called for the legalization of medical marijuana and the decriminalization of up to 50 grams. North Dakota Lawmakers Back Away from Proposal for Database to Check Patents' Eligibility for Concealed Weapons Licenses. House lawmakers on Tuesday approved a measure, Senate Bill 2140, that would require the Department of Health to disclose medical marijuana patients' identities to the Bureau of Criminal Investigation "for the sole purpose" of determining whether they are eligible and in compliance with the state's concealed weapons law. But on Wednesday, Attorney General Wayne Stenehjem reminded lawmakers that changes to the voter-approved medical marijuana law required a two-thirds vote, not a mere majority, so lawmakers voted to send the bill back to the Natural Resources Committee, where its chairman said he will strip the gun language from the bill so it can pass. Tennessee Medical Marijuana Bills Are Dead for This Year. State Sen. Steve Dickerson (R-Nashville), a doctor and leading proponent of medical marijuana in the legislature, announced Wednesday he was delaying all medical marijuana bills until next year. He said he was convinced the bill would fail, and decided it was better to delay the proposal than watch it fail in committee. "You can run a bill and have it defeated, or you can keep it alive," Dickerson said. "And practically speaking, we decided to keep it alive and not have a defeat for perception more than anything." Dutch to Move Forward with Legal, Regulated Marijuana Production for Coffee Shops. 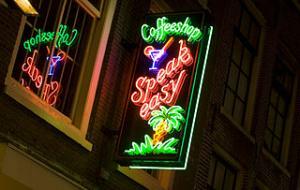 The Dutch government released detailed plans Thursday for moving forward with regulated marijuana production to supply the country's famous coffee shops. The plan is to license 10 growers, each of which will grow at least 10 different strains. THC content will be clearly labeled. At least six and no more than 10 local authorities will take part in the trials, which will last four years. It will then be up to the next cabinet to decide whether to move forward with state-regulated marijuana production. The plan is being criticized by some local authorities and coffee shops as being too restrictive by requiring that all cannabis sold in participating coffee shops come from the licensed growers. Florida battle brews over limiting THC in smokable marijuana, Michigan's unlicensed dispensaries get at least a temporary reprieve, Oregon growers get a heads up from regulators, and more. 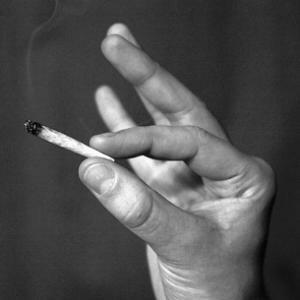 Florida House Committee Votes to Limit Strength of Smokable Marijuana. The House Health and Human Services Committee voted last Wednesday to cap the amount of THC allowed in smokable marijuana flowers at 10% despite the objections of patient advocates who noted that much stronger buds are already available on the market. The move comes less than a month after the legislature removed a ban on the use of smokable marijuana. Florida Judge Rules Patients Have No Right to Grow Their Own. The 1st District Court of Appeals ruled last Wednesday that a Tampa patient does not have the legal right to grow his own medicine. The decision overturns a lower court ruling that held the patient could grow plants to be juiced as part of his treatment for cancer. Michigan's Unlicensed Dispensaries Can Stay Open for Now. Unlicensed dispensaries that were set to be shut down by March 31 can continue to operate as attorneys for the businesses meet with state regulators seeking to reach an agreement that will allow the 50 shops to stay open. Regulators had planned to send out cease and desist letters at the beginning of this month, but a Court of Claims judge has blocked that action -- at least until another court hearing set for next Thursday. Missouri Regulators Release Additional Draft Rules. The state Department of Health and Senior Services has released more draft rules for the state's medical marijuana program. The new draft rules for facility evaluation criteria and medical marijuana testing facilities can be viewed here. Draft rules must be finalized by June 4. Oregon Medical Marijuana Growers Warned to Report Inventory. The Oregon Medical Marijuana Program has warned medical marijuana growers that they need to come into compliance with inventory reporting requirements or face stiff penalties. The program issued a bulletin reminding growers they need to use the Oregon Medical Marijuana Online System (OMMOS), and that they must report their onsite marijuana inventory and any sales.